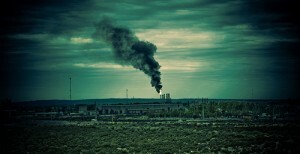 Truth Out published a list of the seven companies that pollute the most without consequences. Many of them, like General Electric, Koch Industries, Northrop Grumman, and Dow Chemicals get billions in subsidies from the government while continuing to send jobs abroad. These corporations are also suppliers to many more multinational corporations that benefit from subsidized externalitites. Today these corporations are incurring record profits and their success is a huge opportunity cost for the global economy. They are a burden to tax payers, the job market, and the environment. Why can’t we tax and regulate these corporations if they do not provide any benefits to the country and the world?